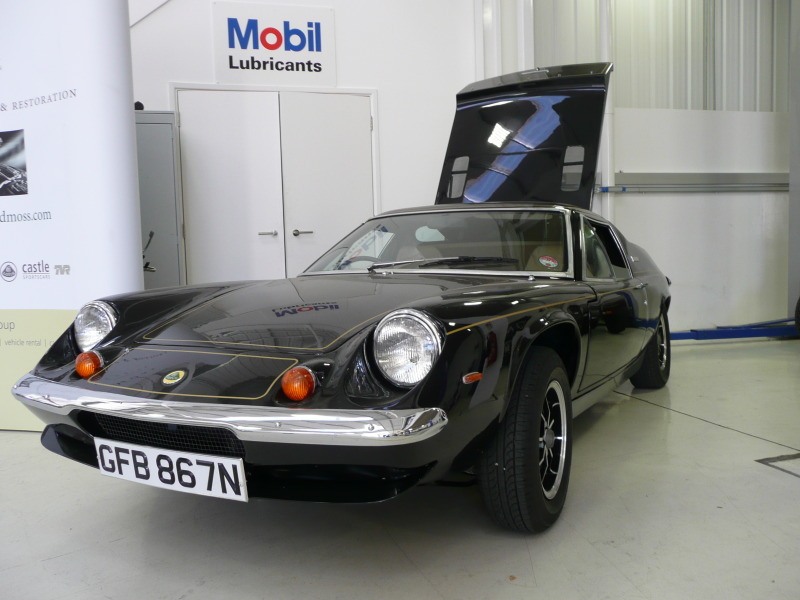 The plan was hatched to arrange a run from Boreham services, Chelmsford in an attempt to get together a good turnout for Castle Lotus open day. I had planned a nice run through the Essex countryside to Stansted, Essex, and despite all the crap that’s associated with the ‘Only way is Essex’, which gives a totally misinterpretation of the County, the morning exceeded my expectations. Firstly the weather was absolutely superb, clear blue skies, nice nip in the air for naturally aspirated engines to perform, and there was a great turnout at the meeting point. Not only were there a number of Elises, but we had a few visiting TVRs and a Lamborghini joining us on the run, which made for a superb sight once we were under way. 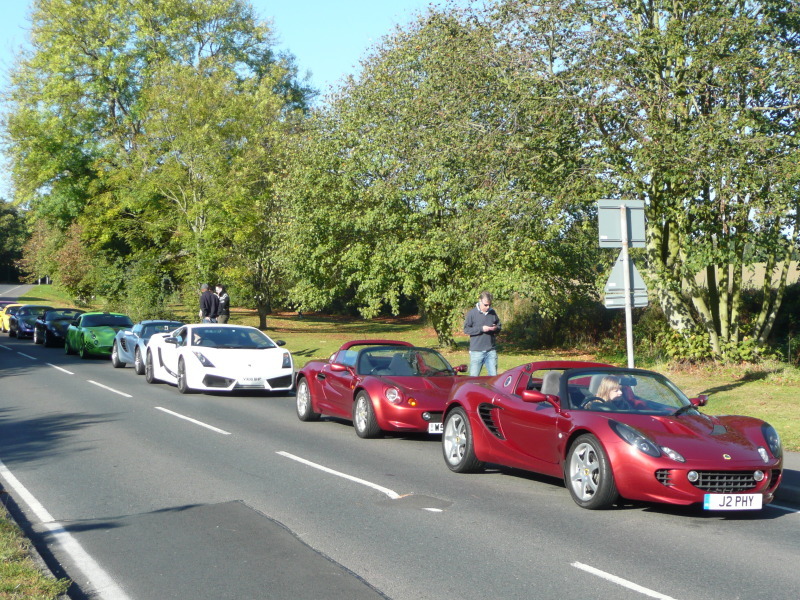 It never ceases to amaze the attention a collection of sports cars can draw, and our impromptu stop at Great Dunmow proved the point, with excited youngsters rushing to find their parents to take them over for a look at the the convoy of exotica parked along the road. After an hour and a half driving, taking in some great B roads en route, we arrived at Castle Lotus (Hilton Moss) and it was a case of parking up amongst some of the other visitors’ outstanding vehicles with a wide variety of cars including Ferraris, TVRs, Ultimas, and of course Lotus’s. 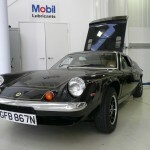 Castle Lotus (Hilton Moss) has a superb array of classic cars for sale ranging from early Jaguars, Ferraris, Porsches, some beautiful examples of 70’s Lotus Europas, and bang up to the minute Evoras, Exiges and Elises in what can only be described as very impressive surroundings in the workshop & showroom floors. Unfortunately while they were originally planned to be there, the new Lotus models from the Frankfurt motor show weren’t on display, as high demand meant they’d been committed to another event that weekend, as I and many others were really keen on seeing the new V6 engined Exige S for the 1st time, but hey such is life. Instead we had to make do with the Renault F1 car in Black and Gold livery, which went down well. The turn out was excellent for the host & I’m sure the weather certainly helped the cause and the rolling road was taken advantage of by many, especially a few of the TVRs – the soundtrack of those beasts at maximum revs is something else. 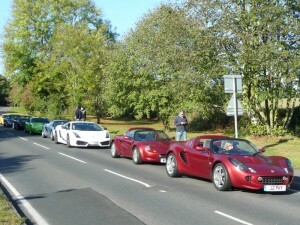 Mark from our group was brave enough to put his Exige on test which also proved interesting! 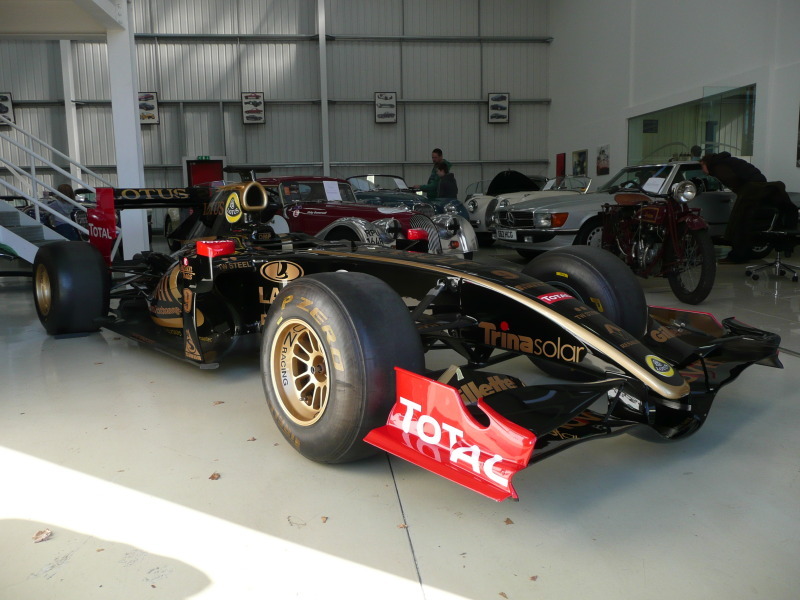 Many thanks must go to all at Castle Lotus (Hilton Moss) for putting on a great show, allowing everyone free roam of the premises and access to all cars on display. Here’s to the next one.